AUTOMA wafer type butterfly valve is two-piece shaft design. It is designed with flexibility combinations of disc and sealing materials to cater for various applications. The body is available in Cast Iron or Ductile Iron, with options of disc material in ductile iron, CF8, CF8M or Teflon coated, flexibility combination with seat material either NBR, Viton, EPDM or PTFE. 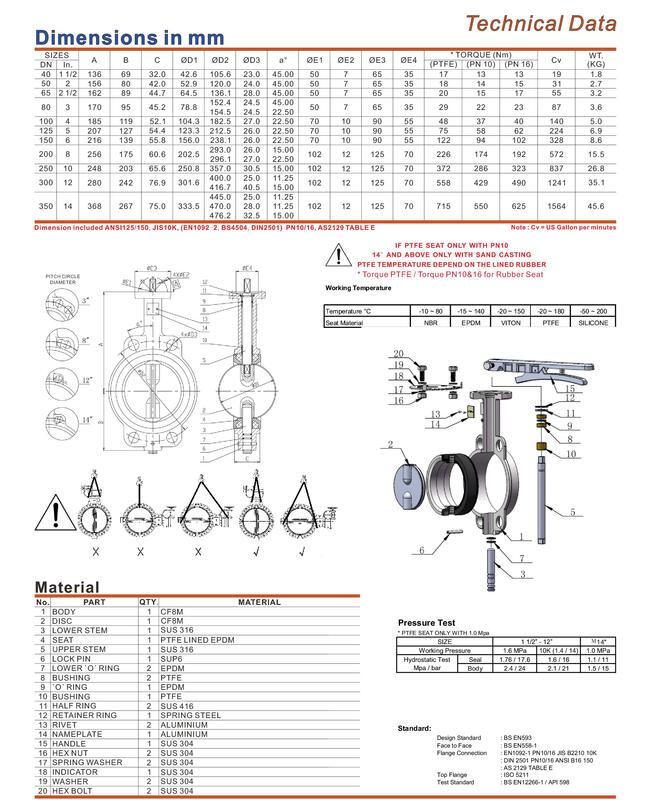 AUTOMA butterfly valve flange is drilled with universal flange in accordance with major standards like DIN, JIS, BS, and ANSI. Top flange is standard ISO5211 mounting with DIN3337 stem dimensions for easy direct mounting with actuators. The disc is spherically machined and the hand polished disc edge provides bubble tight shut off at minimum torque. Applications for Plumbing, HVAC, Fire protection system, Irrigations, Water treatment, Water and Sewage Industries, Food Industries, Process Equipment, Sugar Mill, Palm Oil and Refinery Plants.